2011 brings in a New Year of Middle School Elite Exposure for Today’s Phenoms. One player from each State or Country will be selected to write personal/team journals of their events and experiences on MSE. Let’s keep the records. This way people from around the world can read about your basketball travels. Indiana, New York, Virginia, Spain, Ohio, Kansas, Montana, Alabama, South Carolina, Arizona, Arkansas, Maryland, California, Kentucky, Africa, Colorado, Wisconsin, Pennsylvania, Connecticut, Montana, Wyoming, Delaware, Florida, Georgia, Idaho, West Virginia, Illinois, Louisiana, Massachusetts, Michigan, Missouri, Nevada, New Hampshire, New Jersey, North Carolina, Oklahoma, Mississippi, Oregon, Rhode Island, Tennessee, Iowa, Minnesota, Texas, Utah, Canada, Vermont, Delaware and Washington. Are your players and team really on the map? 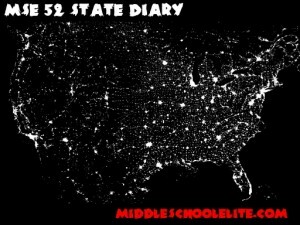 ‘MSE 52 State Diary’. For more info email: Msebasketball@gmail.com.